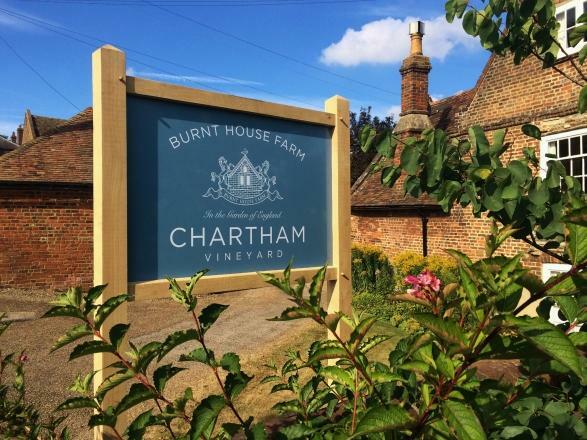 Located next to Chartham Station (one stop from Canterbury West) and 3 miles west from Canterbury on the Great Stour Way footpath and cycle path. Free tasting of our still and sparkling wines every Saturday 10.30 to 5.30. Bookable vineyard tours and tasting for groups (5-15). Unique historic buildings in farmyard (dovecote, Kent threshing barn etc.